Het lijken absurde krantenkoppen de laatste dagen: ‘Chinezen kopen Nederlandse schappen flesvoeding leeg’ en ‘Snel spoedoverleg over tekort babymelkpoeder’. 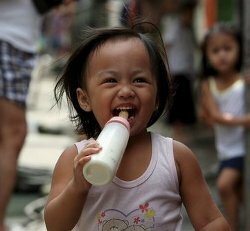 Vanwege schandalen met giftige babyvoeding hebben bezorgde ouders in China nu flink wat geld over voor melkpoeder uit Nederland. Waarschijnlijk zal er de komende maanden hier geen enkele baby ondervoed raken door dit gebrek aan melkpoeder. Maar toch is dit een serieuze waarschuwing voor wat er mis is met ons voedselsysteem. Al decennia kopen westerse landen voedsel op in andere delen van de wereld. 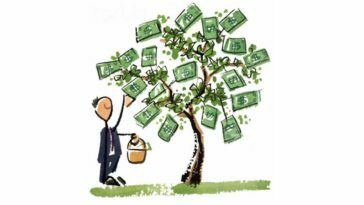 Soms verdienen de boeren daar wat aan, maar vaak profiteert vooral de lokale elite en heeft een groot deel van de bevolking er geen baat bij. Kleine producenten van voedsel voor de lokale markt worden verdreven van hun grond en door de export blijft er minder gezond voedsel over voor de lokale bevolking. Door de steeds ‘vrijere’ wereldmarkt wordt voedsel steeds meer rondgezeuld. Manifestation against factory farming and the enormous impact this has on the food shortage in 3rd world countries, the climate, our health and animal welfare. Only a well-informed consumer will be able to make good choices. Therefore, this protest we will focus on giving information about the impact that factory farming had, and the alternatives there are. 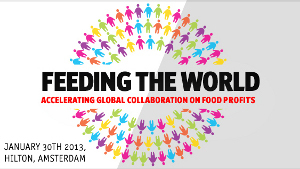 The conference ‘Feeding the World’ will take place on January 30 in the Amsterdam Hilton hotel. 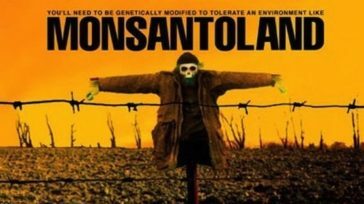 At this controversial event organised by magazine The Economist, Dutch princess Máxima is taking the stage together with pesticide multinational Monsanto. 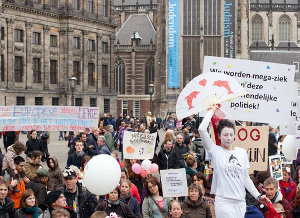 Critics label the event as misleading because it promotes industrial agriculture as the solution to solve world hunger. In the region of Nantes in the North-west of France there has been a lot of social struggle in the past weeks. 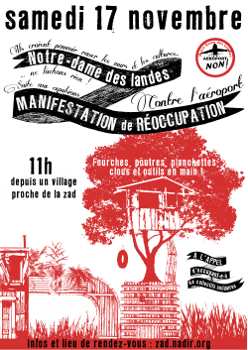 In the ZAD (Zone a Défendre) almost all squatted houses have been evicted. Many farms, houses and farmland had been occupied as a protest against the building of a new airport, an airport which is totally superfluous according to experts. The protest against pollution by air traffic goes in this region together with the struggle for a sustainable agriculture. The fields are still relatively small. This means that also agriculture too much industrialised yet. In the past years many young people from the Reclaim the Fields network settles in the area to start a farm and produce sustainable food for the region. Despite the recent eviction wave the struggle is not over yet. On November 17 there will be a demonstration. the aim is to reoccupy as many as possible houses and land. In September of this year a preliminary report came out about the Curuguaty murders in the South-American Paraguay of June 15th of this year. The deaths occurred when a police force vigorously ended a land occupation action by small farmers. The report is made by amongst others, La Via Campesina, Friends of the Earth Latin America and the Cariben and FIAN. It describes what occurred and gives recommendations to the Paraguayan authorities, the judicial powers and the international commumity to make sure that people investigate what has happened exactly and to get adequate help and support to the victims of the event. (1) For many years there are land occupations by small farmers who lose their access to farming land because of the expanding cultivation of soy.